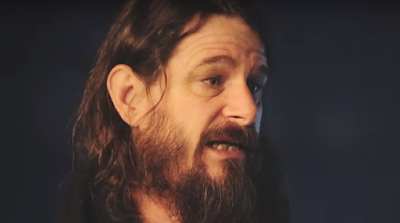 MetalRockNews: Slayer's Paul Bostaph about social media: "It's kind of a necessary evil"
Slayer's Paul Bostaph about social media: "It's kind of a necessary evil"
Slayer drummer Paul Bostaph was recently interviewed by From Hero To Zero, you can read some excerpts below. About how conditions for musicians have changed in the last three decades: "Well, first of all, when I started touring in the '80s, there was no Internet at all. I mean, cell phones didn't exist, pagers didn't exist, so the world was a lot different back then. If you wanted to get a demo out to somebody, you actually had to send it to them through the mail or hand it to them personally, so things were on a more personal level back then. Touring was different for a lot of reasons. The first time I came to Europe… I remember when I played Paris first when I was with Forbidden, nobody spoke English. I wasn't used to that. At least nobody we encountered spoke English. And it was very difficult to communicate with people, obviously. And then we played Germany for two weeks after that, and people weren't really speaking English that much back then. So, for me, one of the main things that have changed, especially over in Europe, is more people have adopted English as a second language. And it surprises me. And, you know, even back then, you couldn't send an e-mail to people at home, you couldn't send a text message. Now I can keep in contact with my loved ones at home. Back then, I had to send a postcard or a letter, or call from a payphone." About being active on social media: "I started up my web site and my Facebook page and my Instagram and YouTube and all that kind of stuff, because it's kind of a necessary evil, in a sense. On one sense, there are people out there who can be pretty cruel to people. When I grew up, if you say something bad to somebody, you usually say it to their face, and if it's not something they like, then you deal with the consequences. I think that a lot of people — not a lot of people; some people, anyway — treat it that way. Other people, it's very… It's interesting. Like I said, it's a necessary evil. It kind of gives back to the fans, in a way, 'cause you can give them stuff that they normally wouldn't get. And that's how I try to use it. I don't try to put content out just to put stuff out, so people have something to look at. If I don't feel it's special, then I don't put it out. And sometimes it takes me a while. Because I'll see the stuff, and I'm, like, 'Well, yeah, I could take that picture or take a picture of myself in front of this.' But I really wanna feel like, when I look at it, if I was a fan, I'd go, 'That's cool.'"